Careers in Ship Repair, Ship Building, Oil and Gas exploration and the Marine industry, both on land and offshore, are varied and exciting. The pool of skills needed in these sectors is increasing, as globalisation continues to ‘shrink’ the world. We live in an energy hungry world where the demand for importing and exporting of goods and services are increasing rapidly. This drives an increase in the demand for skilled workers and professionals at all levels. 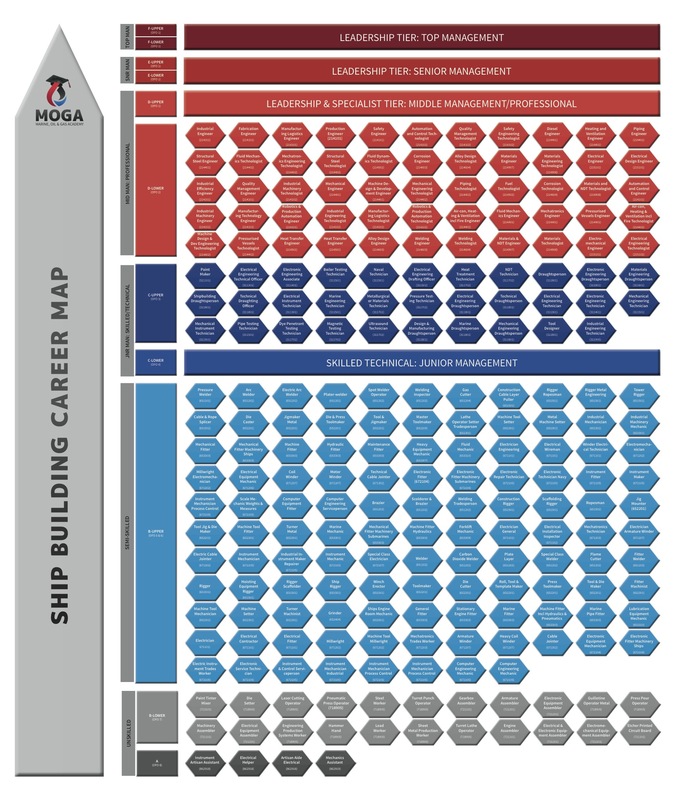 As part of SAOGA's mission to play a supportive and facilitatory role to serve our member base, we are partnering with industry to help create company-specific Technical Competency Frameworks based on the Universal Base Model as illustrated here. 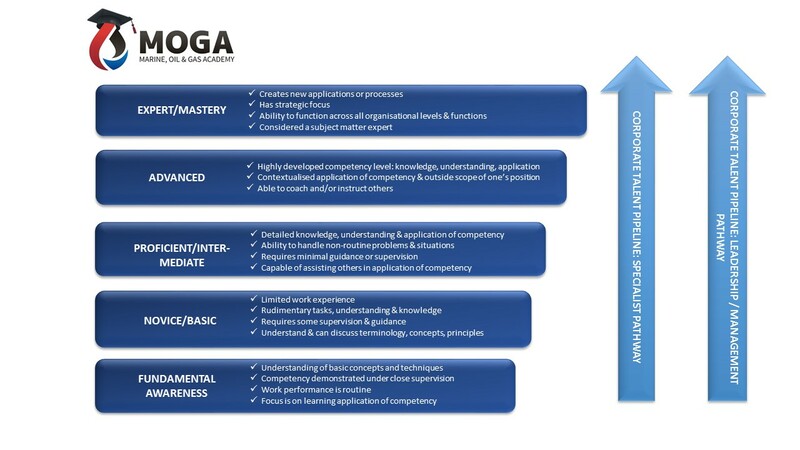 MOGA's vision is to present a universal Technical Competency Framework to inform the development of industry specific talent pipelines - whether it be a leadership or specialist stream for the industry. 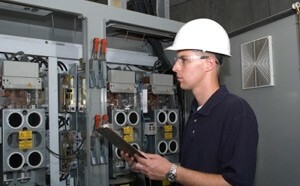 Electrical Engineers design, develop and maintain electrical systems and/or components to required standards. The focus is normally on safety, reliability, quality and sustainability. Electrical Engineers support the electrical and control equipment both onshore and offshore to ensure that it remains efficient and productive. Electrical Engineers can work for a range of companies including companies who own or manage production facilities (known as Operators), Service Companies and Engineering Consultancies. Degree in a related engineering discipline or equivalent. Through your career you might progress to become a Senior Engineer, Principal Engineer or a Consultant. It may also be possible to become a Team Leader or Manager. 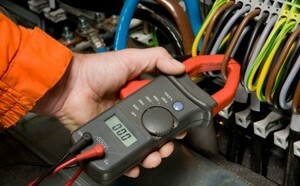 Electrical Technicians carry out planned or unplanned maintenance and repair activities on a wide range of equipment e.g. power generation and distribution systems, motors, control systems and electrical equipment. This role is vital to the safe and effective delivery of offshore production/onshore processing of oil and gas and ensures that electrical systems and equipment used onshore and offshore are in a safe condition and meet safety and technical standards. 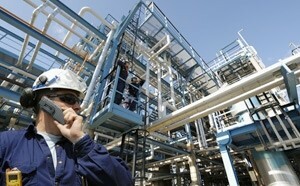 They can be based offshore, at an oil and gas processing plant or at onshore yard/workshop sites. Lead Electrical Technician, Electrical/Maintenance Supervisor/Chargehand, Maintenance Manager, Offshore Installation Manager. Mechanical Engineers support the plant equipment both onshore and offshore to ensure that it remains efficient and productive. 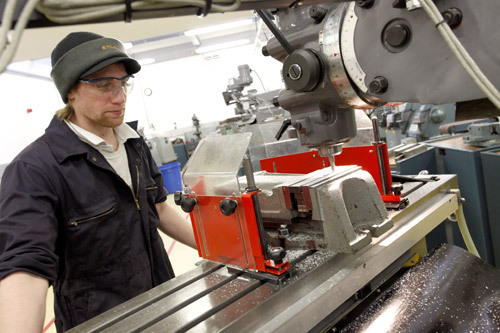 Mechanical Engineers can work for a range of companies including companies who own or manage production facilities (known as Operators), Service Companies and Engineering Consultancies. A mechanical engineer will interact as part of a larger mechanical team, using knowledge and expertise from their own experience, as well as that of others. This will also involve working with other engineering disciplines (such as electrical, and construction engineering), to ensure the highest quality of work. As you gain experience and expertise throughout your career, there are many opportunities to progress to Senior Engineer, Principal Engineer or a Consultant. There may also be a particular are of engineering that you choose to become a specialist in. 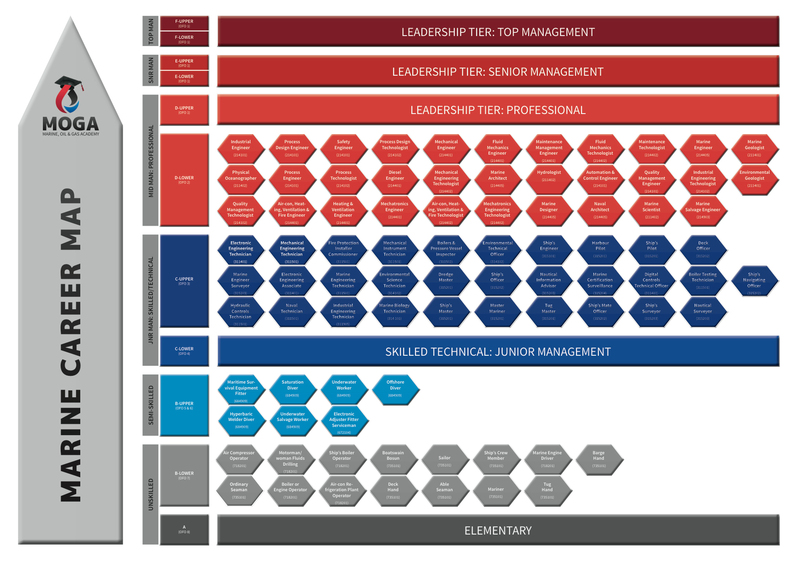 Depending on which areas of work you enjoy there is also the possibility of becoming a Team Leader or Project Manager. May be based onshore in a workshop, or offshore on a platform or drilling rig. Shiftwork may be involved. This role provides a specialised skill set to the Oil and Gas Industry no matter which discipline the individual specialises in (dynamic positioning, shipping/ vessels, design, Floating Production Storage Offshore (FPSO). This knowledge is vital to the industry to ensure that technical standards are maintained and excellence is sought at every opportunity. There has been significant economic growth within the Marine sector. Choosing a career in this sector would provide opportunities in contributing to the Shipping industry, Naval patrol environment, Tug services, Transport and Security industries, just to mention a few. Welders, boilermakers, electricians, riggers, engineers, medics, administrators and planners are amongst many more specialised trades and professions demanded by the marine industry. 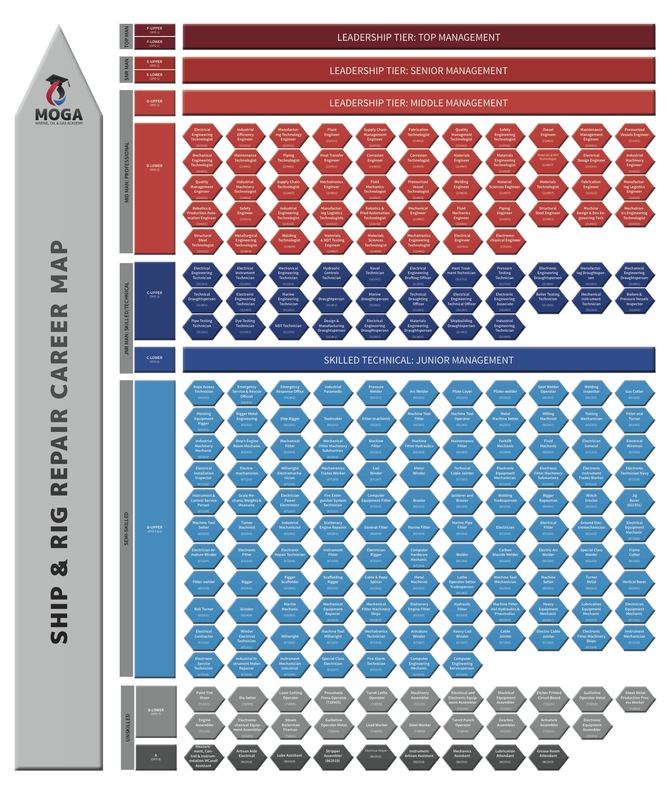 Ship and Rig Repair and Ship Building projects require the services of large numbers of Artisans, Technicians, Engineers, Semi-skilled workers, Professionals and Managers. Highly skilled artisans like; Welders, Boilermakers, Fitters, Diesel fitters, Electricians, Riggers, Pipefitters, Painters/Coating and Scaffolders are in demand worldwide. Engineers, Technicians, Health-, Safety-, Environmental and Quality Officers, Non Destructive Testing Specialists, Corrosion Inspectors, Coating Inspectors are rewarding and highly paid positions for which there is a considerable demand. Supervisors, managers, project managers, estimators and executive managers often work their way up through the ranks. Although many South Africans are working in the Oil and Gas exploration industry globally, we have not had major exploration activities in our country. Hence we have not seen many local training and career opportunities emerging in the country. This does not mean South Africans cannot access career opportunities world-wide. Due to a global shortage of skilled oil fields workers, it is worth exploring this career option. Also, due to an ever increasing hunger for energy, the focus is moving to Africa as the last frontier for Oil and Gas exploration. We see an increasing number of global Oil and Gas exploration companies setting up regional offices in South Africa in view of the expected increase in exploration activities along our coastline and the future shale gas play and to service Southern African activities from here. Other service, i.e ROV repair, SHEQ services, salvage, diving service, etc. 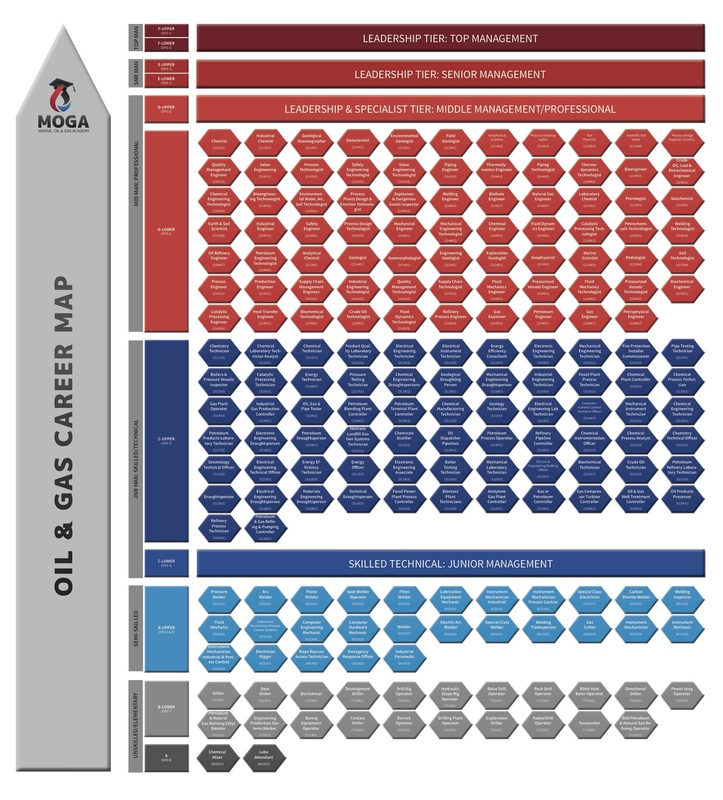 Oil & Gas sector occupations to select from, range from senior level (e.g. Geoscientist/Geophysicist, Petrochemist, Petroleum Engineer) to core/professional level (e.g. Rig electricians, Drillers, Toolpusher, etc.) to semi-skilled level (e.g. Operators, Derrickhands, Motorhands, Roustabout, etc.). A career in Ship Building entails the construction of ships and floating vessels in a shipyard. Individuals responsible for this are called Ship Builders or Shipwrights. Naval Engineering is also a term used when referring to commercial and/or military shipbuilding and Ship repair. Increasing demand for new vessels has had a knock-on effect for skills demand in this sector. This demand has been created, amongst other reasons, because of the West African Oil boom, and inreased need to use regional and local port facilities. South African Maritime Safety Authority's (SAMSA’s) objective is to lead and champion South Africa’s maritime interests as custodians and stewards of maritime policy, vigorous promoters of the maritime sector and giving full and complete effect to our obligations for the benefit of all stakeholders. The International Maritime Organization, is the United Nations' specialized agency with responsibility for the safety and security of shipping and the prevention of marine pollution by ships. IMO measures cover all aspects of international shipping – including ship design, construction, equipment, manning, operation and disposal – to ensure that this vital sector for remains safe, environmentally sound, energy efficient and secure. The International Marine Contractors Association (IMCA) is the international trade association representing companies and organisations engaged in delivering offshore, marine and underwater solutions. The core purpose is improving performance in the marine contracting industry by championing better regulation and enhancing operational integrity. The Southern African Institute of Welding (SAIW) is a non-profit technical organisation dedicated to furthering standards in welding-fabrication and related technologies. Established in 1948, it is a founder member of the International Institute of Welding (IIW). An SAIW qualification has long been regarded as the industry standard in South Africa and also enjoys international recognition. Standards of Training, Certification & Watchkeeping is an international standards body, setting stringent guidelines for mariners. The International Well Control Forum's primary purpose is to develop and administer well control training, assessment and certification programmes on behalf of the exploration and production sector of the oil and gas industry. IWCF works closely with National regulatory bodies and other industry bodies, such as the International Association of Oil and Gas Producers. International Association of Drilling Contractors is the forum for all Oil & Gas drilling industry stakeholders to connect, share knowledge, tackle common problems, and develop solutions to critical issues. OPITO's mission is to support the industry to build a sustainable, competent and safe oil and gas workforce and to ensure that quality, innovation and partnership underpin everything that they do. IRATA (Industrial Rope Access Trade Association) is the sole global trade association in the work-at-height sector; it has member companies in every continent. The IRATA technician carries a card that is recognized and admired around the world for its importance and value; over 40000 IRATA technicians have been registered in over fifty countries and in every continent.